People can spend their entire career building a nest egg, carefully contributing to their retirement accounts and investing their money as they prepare for that day when they can finally retire. 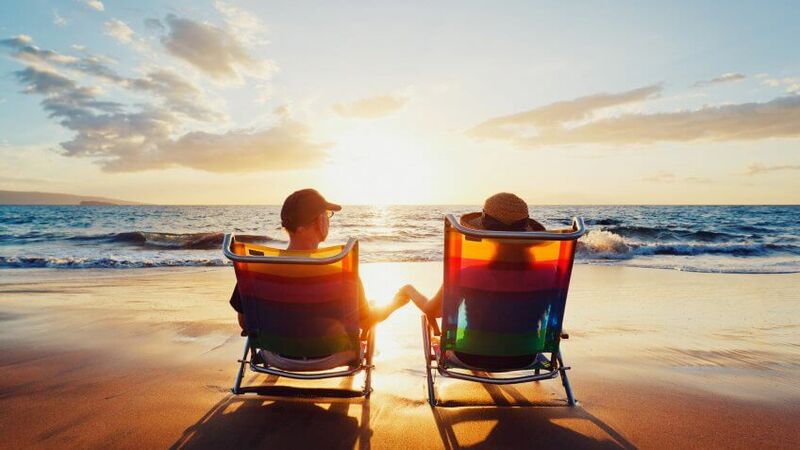 But for those nearing retirement, especially for middle-aged workers, the question of how much you will actually need to retire can continue to eat at you as you approach that magical day where you stop punching the clock and start living the good life. One popular way to calculate how much you need to retire is by using Fidelity Investment’s “10x income rule.” According to Fidelity, in order to maintain a quality of life similar to what you had while working, you should save 10 times your annual income before retiring at age 67. Of course, that figure has changed significantly over the years. Annual incomes today are very different than they were 10, 20 or 30 years ago — especially when you consider inflation. If you’re planning on hitting the number your grandparents did and calling it quits, odds are good that you’re going to be well short of what you’ll ultimately need. That’s because, if grandma and grandpa retired in, say, 1951, when the income for an average American was under $3,000, you would need an additional $450,000 or so at today’s average wages than they did at the dawn of the Eisenhower Era. That’s why GOBankingRates has calculated what 10 times income would look like in each of the past 65 years using data on average annual wages provided by the U.S. Social Security Administration. Click through to find out how much you’d need to survive retirement throughout the years. Click here to find out how much the Dow Jones was worth in 1951. Click to find out what the U.S. minimum wage was in 1955. Find out how much a brand new car would have cost you in 1958. Click to discover how much $100 was worth in the 1960s. Click to learn how much a new home cost in 1963. Find out how much college cost in 1966. Learn how much $100 was worth in the 1970s. Click to learn how the 1973-1974 stock market crash impacted America. You won’t believe how little college cost in 1979. Click to find out how cheap college was in 1986. See what you could buy for $100 in 1990. Click here to see how much a brand new house cost in 1992. Click to find out the cost of a brand new car in 1994. Discover how 9/11 impacted the economy.